Request a Free Estimate for a New Furnace and/or AC! 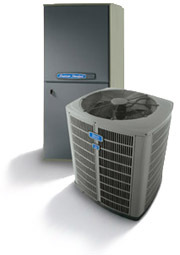 Are you looking to replace an old, inefficient, or non-functioning furnace or air conditioner? Allow us to help you. We offer a free in-home assessment of your heating and cooling system to determine the best system for your needs. Just fill out and submit this form, and we will contact you to set up a convenient time for your free in-home assessment for a new heating and cooling system. Disclaimer: The information contained on this website is not meant to diagnose or repair your heating or cooling equipment, nor diagnose or treat someone who has been exposed to carbon monoxide, or who has specific environmental allergies.